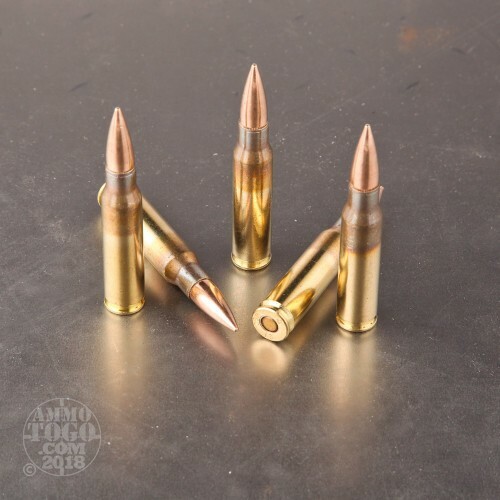 This is true military Q3130 Winchester .308 / 7.62x51mm Nato Spec. 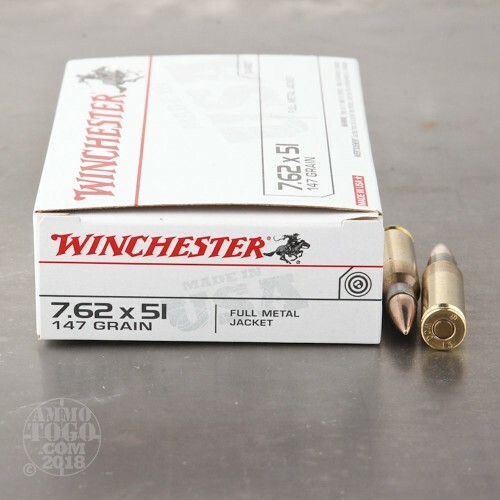 147gr. Full Metal Jacket Ammo. It is headstamped WCC 10 with the NATO cross. It is brass cased, boxer primed and non-corrosive. It has an annealed case mouth and a crimped primer. 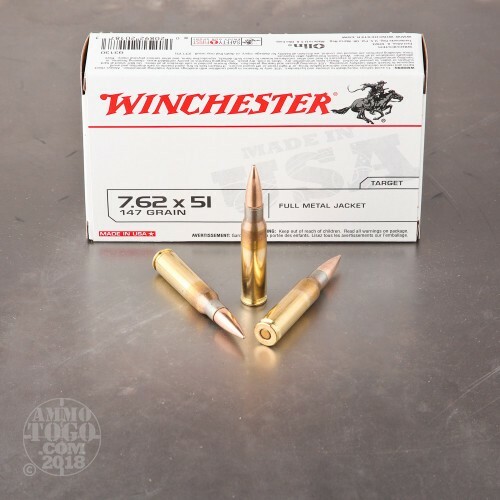 It comes in a Winchester white box that is labeled 7.62. The Winchester item number is Q3130. This is Winchester's military grade ammo, NOT their commercial ammo. 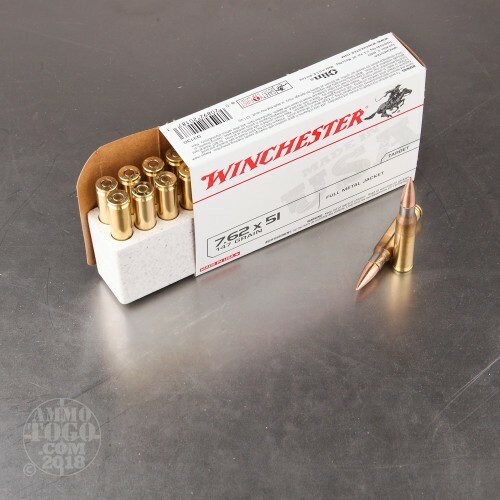 It comes packed in 20rd boxes, 200rds. per case.